Two regions. 20+ Teams. One competition. ECS Season 7 is the latest iteration of the world's most watched CS:GO tournament. Welcome to the big leagues. 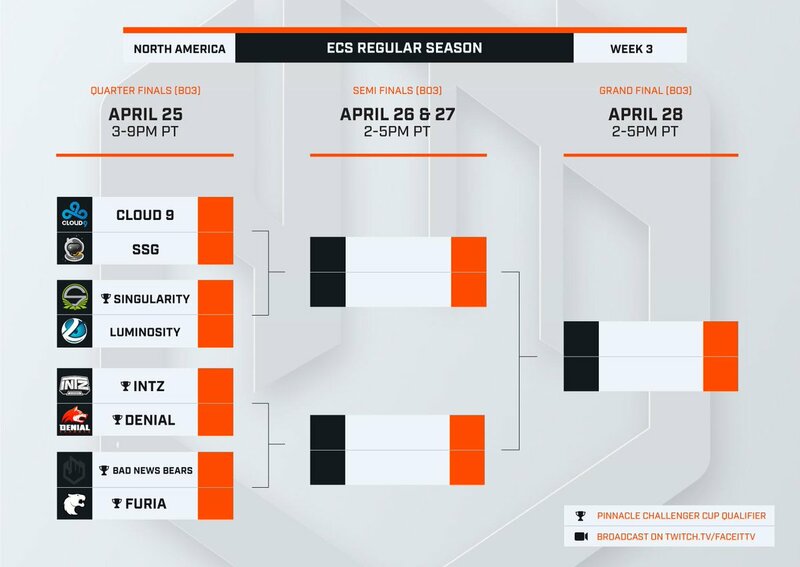 Each region will battle it out in five BO3 knockout brackets to qualify for the ECS Season 7 Finals. Higher stakes, no dead games. The first 3 series in each region are winner-takes-all qualifiers, with the top team advancing straight to the ECS Season 7 Finals. The last two series will be all about the money, with the last spot from each region going to the highest-earning team across the whole regular season. The ECS Season 7 Finals return to The SSE Arena, Wembley for the first time since the epic FACEIT Major. Wave pricing releases mean the quicker you buy your ticket, the cheaper it'll be. Tickets for the final are now on sale! Make sure you're there in person to feel the rumble of the bass and the roar of the crowd. Tickets on sale now!